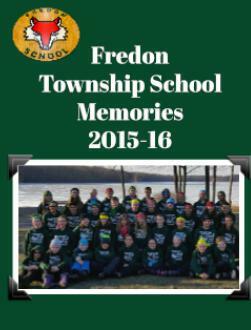 Welcome to the Fredon Township Yearbook Store. Our yearbook team is creating a fantastic book for you that we are confident you will enjoy! Please scroll down to order your book now. We plan to complete the book and send it to the printers on May 18, 2019.